A man has been charged with murder after another man was fatally stabbed in Essex. Ian Slater, 49, of Wayletts, Leigh-on-Sea, is accused of killing Courtney Valentine-Brown, 36, from Southend, and will appear before magistrates later. Mr Valentine-Brown was found injured at an address in Roots Hall Drive shortly before midnight on 21 February and later died in hospital. A 35-year-old man has also been arrested on suspicion of murder. He was detained on Sunday and remains in custody. A woman, 30, arrested earlier on suspicion of conspiracy to murder has been released on bail. 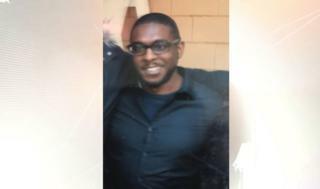 A post-mortem examination found Mr Valentine-Brown had suffered a stab wound to the leg. He has been described by his family as "cheeky, ambitious, and extremely creative". "We are heartbroken over the murder of our dear son, brother, uncle and cousin who was tragically taken away from us prematurely," a statement said. "He was ambitious, cheeky and extremely creative with his whole future ahead of him despite his life challenges."